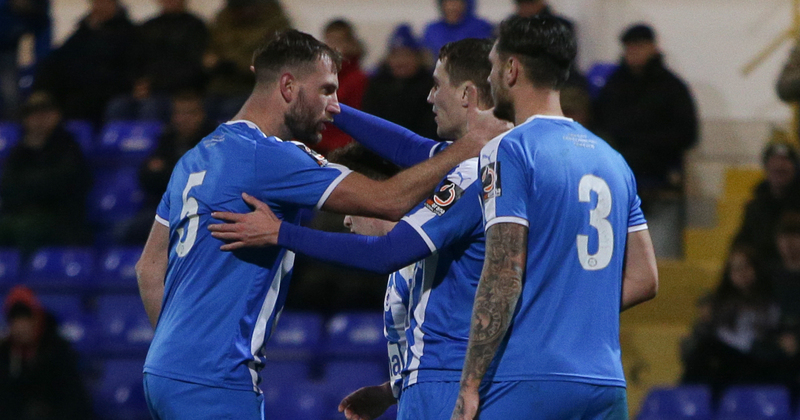 Chester eased to a 4-1 victory over Ashton United in the Vanarama National League North on a cold Tuesday night thanks to two goals from Anthony Dudley and a goal apiece from Steve Howson and Craig Mahon. Just over 72 hours have gone since the Blues were in last in action where on Saturday they played their part in a five goal thriller against Alfreton Town – winning 3-2 thanks partly due to a Gary Roberts hat-trick. Anthony Johnson and Bernard Morley made two changes from that victory. With Iwan Murray and Danny Livesey coming in for the Smalley brothers – Dominic and Deane. First Half goals from Anthony Dudley and Steve Howson gave Chester a commanding lead over the Robins. Dudley finishing from close range after superb work from Craig Mahon – with Howson bundling the ball over from close range from a Blues corner. Second half goals from Dudley and Craig Mahon saw Chester hit four but a stoppage time consolation from Bradley Jackson ended hope of a clean sheet for Chester. Chester knew that a win tonight would see them go to the playoffs. A delay in kick off due to traffic congestion on the M56 meant that the game kicked off 15 minutes later than planned but that didn’t stop the Blues going 1-0 up inside two minutes through Anthony Dudley. Superb work from Craig Mahon down the Ashton right, twisting and turning getting to the byline and then putting it on a sixpence for Dudley to fire home his 5th of the campaign. The Blues dominance was further rewarded on 31 minutes when Steve Howson bundled the ball over the line from close range after a goal mouth scramble. Question marks over who got the final touch but it was Howson who ran away claiming the goal. It wasn’t pretty but the Blues didn’t care! The visitors came out for the second half with a point to prove and made a double substitution, with Jordan Sangha and Harrison Holgate coming on in place of Liam Tomsett and Dom McHale. The changes that Jody Banim made started to frustrate the Blues; as the visitors started to create chances in the final third but couldn’t test Grant Shenton in the Blues goal. Bang on the hour mark Chester got their third. Superb determination from Dan Mooney to win a corner – from it the ball found its way through to Anthony Dudley and the Salford loanee emphatically smashed home his second of the game in front of the Harry Mac. That goal killed off the visitors off and it was now a matter of how many the Blues want. It was 4-0 moments later. Mooney with a delicious ball over the top and the man arriving at the far post was Craig Mahon who – surprisingly to most Blues fans – used his head to score past Luke Pilling in the Ashton goal. As the second half grew older legs began to tire. Craig Mahon and Daniel Mooney were given a standing ovation from the 1,646 crowd as they were replaced by John Pritchard and Luke Jordan. With the game deep into stoppage time the visitors scored the fifth and final goal of the game through Bradley Jackson. Excellent determination from the Ashton full back who found the back of the net despite the best efforts of Shenton. Nevertheless it was a thoroughly impressive performance from Chester who made it nine games in the league unbeaten and rise to sixth in the table. 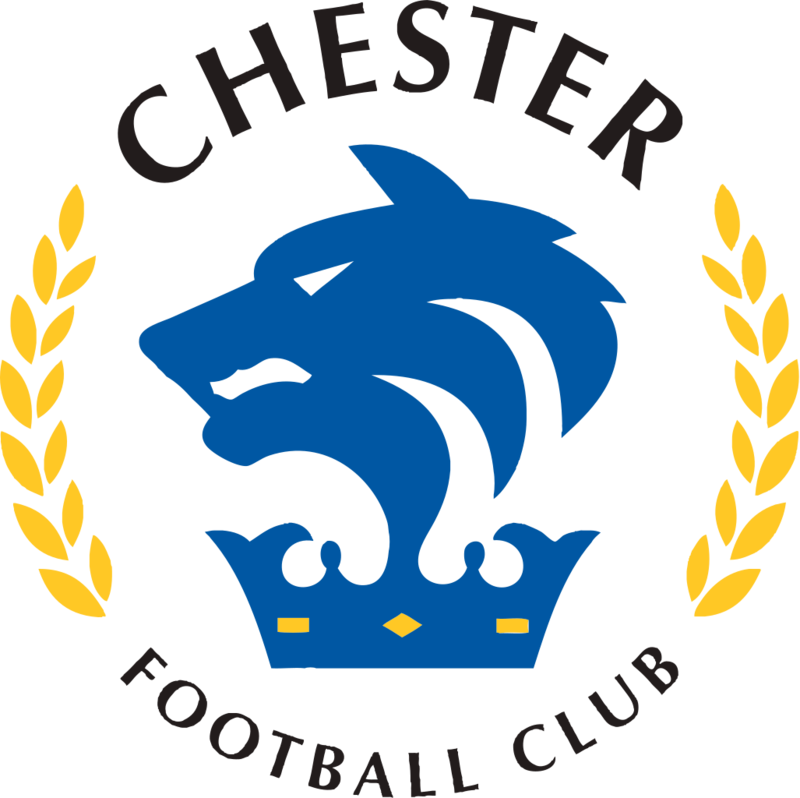 Chester FC: Shenton, Livesey, Grand, Howson, Moran, Roberts (c), Stopforth, Mooney, Mahon, Murray, Dudley. Subs: Deane Smalley, Dominic Smalley, Pritchard, Jordan, Dieseruvwe. Match Report by Matty Johnson.